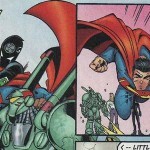 Have you ever wondered how Superman hides his identity? I know he poses as Clark Kent with those fake glasses and cheap suit. But surely anyone with half a brain can tell that Superman and Clark Kent are the same person. 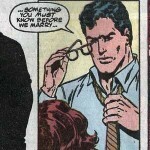 Well the mystery is finally explained in Superman 330. The explanation makes as much sense as wearing Ugg boots in public: Superman hypnotized everyone. Yes, everyone. 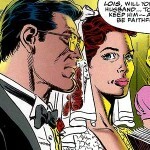 How is it possible that Superman hypnotized everyone and it was never brought up before? It turns out that Superman had been using his super-hypnotism on a “low level” sub-conscious level because he wished to be more frail and dorky looking, and anyone he looks at falls under his spell. But if this were true, would he not still always appear to look the same, both as Superman and as Clark Kent? Actually his glasses make more of a difference than it may seem. The lenses of his glasses are made from “kryptonian plexiglass” (whatever the hell that is) which came from the space ship he crash-landed in when he came to Earth. The super-strong lenses contain some sort of element that intensifies his hypnotic powers when he wears them. …So yeah. Superman hypnotized everyone he had come in contact with and had no idea he had been doing it. Moreover, his hypnotic effect lasts a while, so anyone that looks at a photograph of Clark Kent will still not recognize him as Superman. Now that all the bases have been covered, who would not believe a completely plausible explanation like this one? No one, apparently. 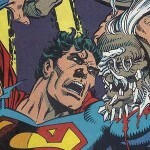 Superman 330 is one of the most infamous stories of all time, which is saying a lot. Even five year-old kids that have no idea how hypnotism works still saw right through this load of silliness. At least there are still a plethora of better stories with Superman available. Have you read Superman 330? What was your opinion? Leave a comment below about this whole fiasco.